I thought I responded to this already, perhaps on another "comet" thread, but I'll summarize my thinking here. NASA thinks [er, wants to believe -- confirmation bias] that energetic solar particles are making pre-existent water on Ceres more volatile; but similar studies on the Moon, comets, etc. suggest rather an energetic combination of solar "protons" with hydroxyls present on the planetoids, producing transient water. How does this square with your thinking, RM? webolife wrote: I thought I responded to this already, perhaps on another "comet" thread, but I'll summarize my thinking here. NASA thinks [er, wants to believe -- confirmation bias] that energetic solar particles are making pre-existent water on Ceres more volatile; but similar studies on the Moon, comets, etc. suggest rather an energetic combination of solar "protons" with hydroxyls present on the planetoids, producing transient water. How does this square with your thinking, RM? Consensus science, and I place NASA in this category, see primordial water everywhere. This water, in my opinion, is created in situ and electrically as you outlined- there are no dirty snowballs or hidden oceans. The process driving geological activity on comets, asteroids, terrestrial planets and moons is an electric discharge. Depending on the characteristics of the body (and its environment) taking part in the discharge determines how that activity appears to an observer. On Mercury we find ‘hollows’, on Io we find ‘volcanoes’, on Enceladus we find ‘tiger stripes’, on Triton we find ‘geysers’, Venus and Mars ‘losing their atmosphere’ and so on, when we look at the Earth an increasing number of researchers are looking at the link between solar activity and earthquakes. Following mainstream science we find small bodies ‘form’ atmospheres whilst larger bodies ‘lose’ atmospheres, their language would suggest different processes yet it is a discharge producing both these effects. The findings at Ceres only serve to confirm that all activity in the solar system, geological or otherwise, is ultimately electrical in nature. Almost two years ago, we were questioning whether Ceres was still having electrical activity, for me with this video it is demonstrated that each body in the solar system may be subject to some electrical activity. DJunqueira wrote: Almost two years ago, we were questioning whether Ceres was still having electrical activity, for me with this video it is demonstrated that each body in the solar system may be subject to some electrical activity. Indeed, the bright spots are exactly at places EU predicts them to be, bot not just EU also simple standard EM theory, as explained by that MIT professor with the banana. The video in this article comments that the bright spots is still active and gets its energy from an unknown source. Yeah, they speculate that there is a "brine" that continues to make its way from under the surface. It is that that they say requires an energy source that is unknown. They pulled that right out of a hat. It is complete and utter guesswork. As far as electricity active on Ceres, I think that Steve Smith (where did he go?) answered that quite well earlier in this thread. Ceres is dead. It has no magnetic field, so there's nothing for the solar wind to interact with. Like Mr. Smith wrote, no electromagnetic field means no field-aligned currents. 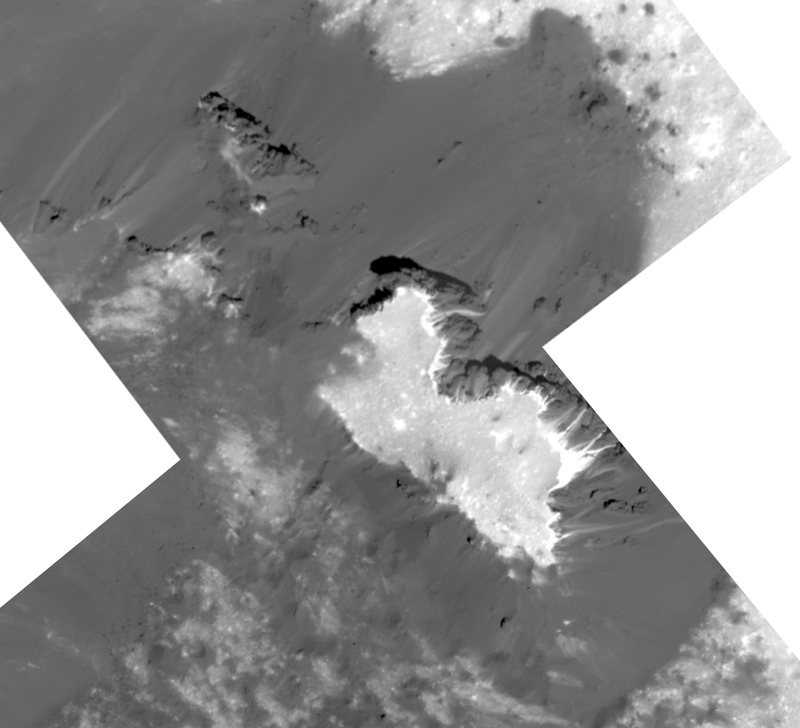 If you are suggesting that electrical activity still exists on Ceres, show me the proof. The solar wind particle density near Ceres is only a few atoms per cubic centimeter. Whatever happened to Ceres happened a long time ago. I respect you but what you say is complete nonsense. All bodies in the solar environment are charged, they absorb charge and they emit charge, Ceres is no different. A rock is more conductive so it is harder for charge to pass through, this means no magnetic field. It does not mean that no electrical interactions are possible. what you say is complete nonsense. All bodies in the solar environment are charged, they absorb charge and they emit charge, Ceres is no different. Of ourse, all solid bodies carry some kind of charge, the question to ask is how much charge and how does its environment apply? There is insufficient charge at Ceres to align the solar wind. Period. Absorbing and emitting charge sounds like a closet Miles Mathis response. A rock is more conductive so it is harder for charge to pass through, this means no magnetic field. It does not mean that no electrical interactions are possible. Charge doesn't pass though a rock, it passes around it. What kind of electrical interaction are you implying can take place without electromagnetic fields? What kind of erosional force, or uplifting, or heating can take place without induction or capacitance? The moon displays electrical interactions and activity... nuff said.